You pay a lot of money to your email service provider (ESP) every year. 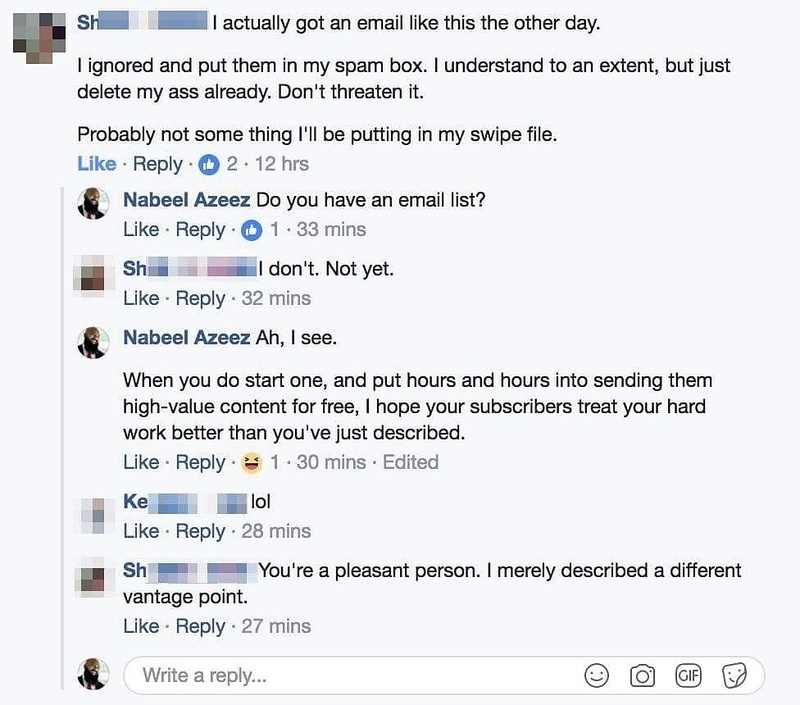 Every unengaged subscriber is money down the drain. And they increase the likelihood your emails will go to spam (look up Graymail). 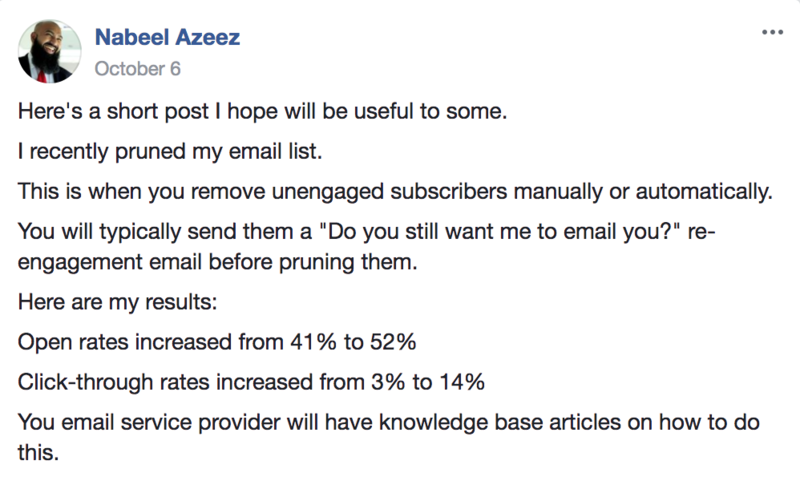 So it just makes good sense to keep your list clean, removing any unengaged subscribers. Most, if not all, ESPs have automations that can do this for you. Here’s one of the comments to my post. First, they’re the subscriber from bloody hell. Not only are they unengaged, they are maliciously engaged. Second, they don’t even operate an email list of their own. Ergo, they have no idea what they are talking about. Third, they have zero-self awareness. How can you call a completely uninformed opinion. “merely describing a different vantage point”? Be very careful who you take advice from, especially on the internet. Anybody can pull nonsense out their a** and make it look like chocolate cake. It’s YOUR money and YOUR business; they couldn’t care less about you. You shouldn’t even accept what I say uncritically. That said, it is my ethical responsibility to talk about what I know. And if I don’t know, to say, “I don’t know” and refer you to someone who does.